But not getting the results you hoped for? "You Can Take Better Digital Photos Today. Just Grab My Free Photographic Toolbox of Creative Tools And Techniques And Start Shooting!" You'll amaze your family and friends when you show them your stunning, imaginative photos. And that's not hype, believe me. Claim Your Free 3 Week Photo Email Course! Free Tips On How To Immediately Improve Your Digital Images! Get the Free "Take Better Digital Photos" mini e-course sent to you via email every day for the next 3 WEEKS. Get the first instalment of this e-course in your email box RIGHT NOW (check your email in a few minutes). Are you sick and tired of looking at your photos and thinking they aren't as good as you'd hoped they'd be? Have the courses and books you bought failed to help you get the great shots you need every single time? Do you feel that there has to be a better way to get those stunning, imaginative images you know you can take? Are you finally ready to seize the creative tools and techniques and discover the secrets to getting the images you want for the first time in your life from a true professional photographer? If you've answered yes, then I know this page is the page you've been waiting for all the time you've owned a camera. Finally, the curtain will be parted and you'll truly discover the secrets to taking successful, amazing photographs. so I then just bought the book." Hi, Tony. I had a look at your site and some of the free material on the book. It looked quite good, so I signed up for the multi-part course. The first one of these was brilliant, so I then just bought the book. I am a 50 year old business consultant specialising in technology. (IT, Telecoms, Defence). I used to shoot professionally in order to get through university (mostly weddings) and had a quite large darkroom (about 4,000 photos per hour at peak). But while I taught the technology of photography / darkrooms I was never happy with my photos. I could record a scene accurately but I could not get a good photo. making enjoyable / striking / memorable images. I am now trying to find the time to put more of the concepts into practice. 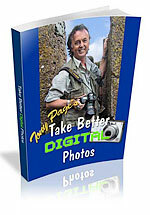 Free "Take Better Digital Photos" Mini E-course and Get The First Instalment Sent To You Immediately! Get the Free "Take Better Digital Photos" mini e-course sent to you via email every day for the next 3 WEEKS. Simply fill in your name name and email address in the form below to receive the first instalment of this e-course in your email box RIGHT NOW (check your email in a few minutes). P.S. If you don't claim your free "Take Better Digital Photos " e-course when will you start to learn the skills you need to really give your photos the "Wow!" factor? How can you expect to improve without a plan or at least a definite direction? If you continue on the same path, will the kind of stunning, imaginative images you desperately want to take ever be within your reach? Or will you continue, stuck in a rut, dissatisfied with the same standard of photos you've always taken but not knowing how to move forward? I can't promise you will become the new Ansel Adams, Annie Leibowitz or Henri Cartier Bresson using my approach. After all, I don't know you... your background... your commitment... or your motivation. But I can promise you'll be amazed at the improvement in your photos if you make the effort to take advantage of the creative tools I show you. Honestly, don't underestimate your own potential. You can do it! Tune up your creative vision and start taking better photographs, but most importantly start to shoot with a plan! 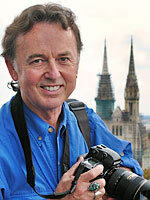 Free "Take Better Digital Photos" 3 Week Photo E-course!